For a cocktail party we hosted the other week in town, I whipped up one of my favorite Barefoot Contessa recipes. Ina makes it as a salad dressing. 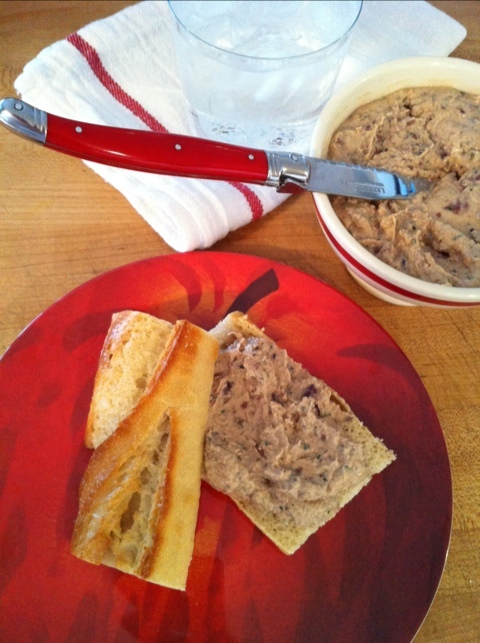 I change it up ever so slightly making it a tad firmer, which makes it a great dip for roasted vegetables and potatoes. Both hearty, which we really quite like when serving drinks. Most guests come right from work so something substantial to curve the hunger crave before they head out to dinner after the cocktail party. The basil in the dip just makes the whole thing sing. Add to a food processor, pulse until all is incorporated being careful to not overdue as that is what makes it more dip than dressing. Refrigerate for at least an hour which will also help to firm things up. SO good! While that is in the fridge roast big sheet pans full of florets of cauliflower & broccoli and small whole new potatoes. Liberally coat with extra virgin olive oil and salt. Put into a 400 degree oven. Shake pan and move things around often until they start to become a bit browned, then pull out. The potatoes will generally stay in longer. Sometimes the really little potatoes will cook just as fast. Enjoy! 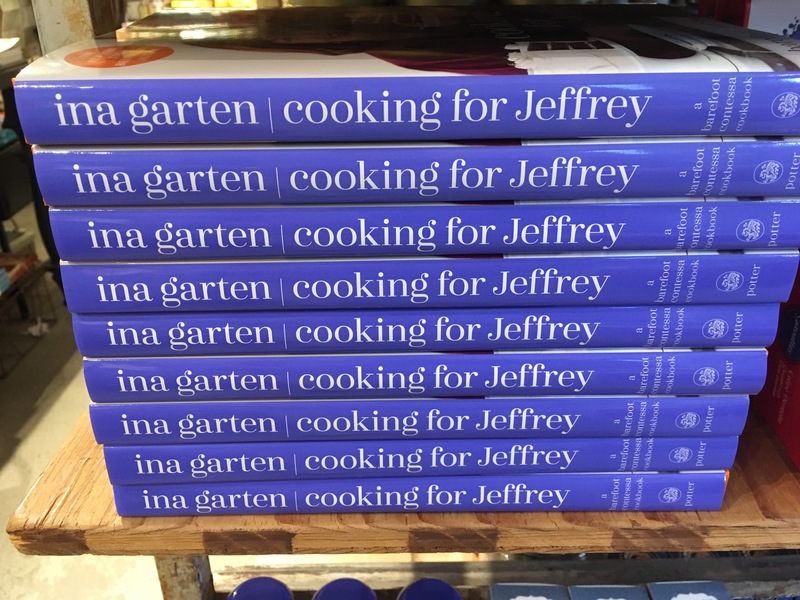 Just In, a nice big stack, which I am sure will be replenished many times, of Ina Garten’s newest book, Cooking For Jeffrey. 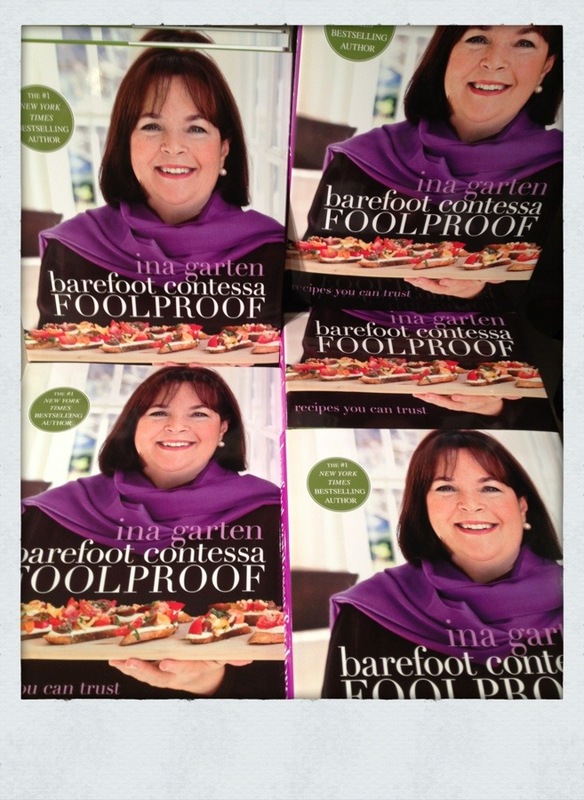 You know I am a huge fan of the Barefoot Contessa, as I know many of you are, as well. Time really does fly, as this is her 10th cookbook! We have sold them all over the years, with each of her ten books gracing our cook bookery shelves at the Home store. Cooking for those she loves is a running theme throughout, this book the emphasis on cooking for her husband of close to 50 years, Jeffrey. For those of us who watch her cooking show, we are witness to the incredibly sweet love affair they have, and how her preparing food for him is such a big part of that love. In keeping with all her other titles, it is filled with page after page of yummy, yummy recipes that are as pretty to look at as they are tasty to eat. The Ina style infused in all she does. We are happy & honored to offer her latest title. This has become a go-to dip over the years. The basil just makes it the perfect herby addition to vegetables (either raw or roasted), little small roasted new potatoes (my favorite with this), or chips. 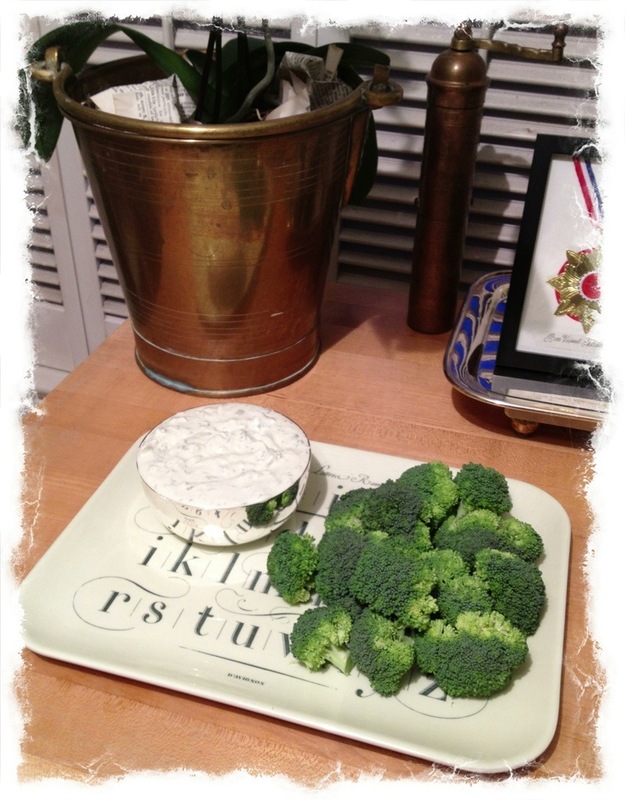 This green goddess dip is actually a spin-off of a dressing Ina Garten makes that I saw her whip up on her show. I add quite a bit more basil than she calls for, which helps make it more of a dip than a dressing. 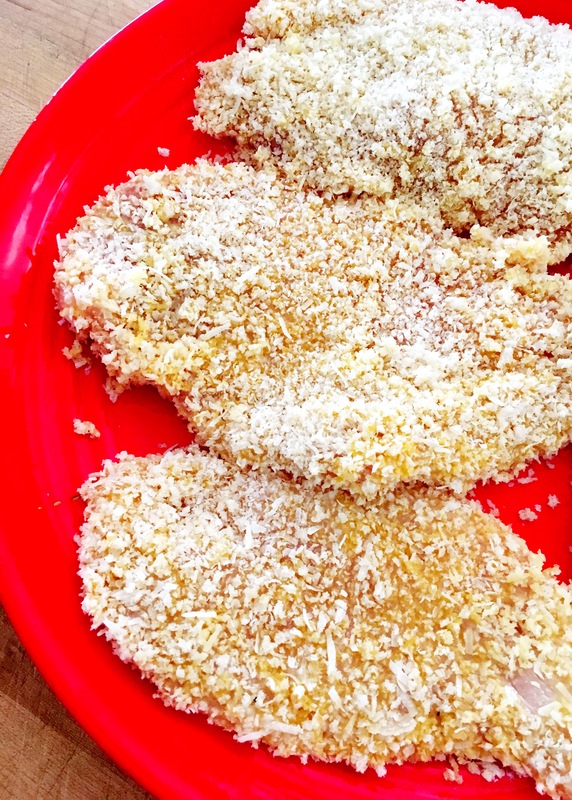 Whatever you call it, it is just darn tasty. It is also the easiest thing to make. Kind of a one mixer concoction sort of thing. I like to use a Cuisinart, but a blender will do the trick too. Add 1 cup mayonnaise, 1 cup chopped scallions (using both the white and green parts), 2 cups fresh basil leaves, 1/4 cup lemon juice, 2 cloves of chopped garlic, 2 teaspoons of anchovy paste, 2 teaspoons of salt, 1 teaspoon of pepper, and 1 cup sour cream to the mixer. Pulse all until you get the consistency you desire. Sometimes I like it smooth, other times I like it where the basil is more visible. If you want more garlic, add more. 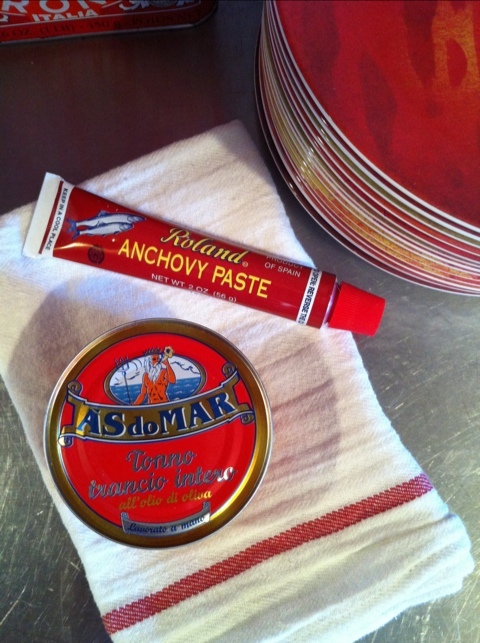 If you want it to be extra pungent, add extra anchovy paste. There is no right or wrong on this. There is just yummy. She can most certainly can cook AND write cookbooks–she is prolific indeed. 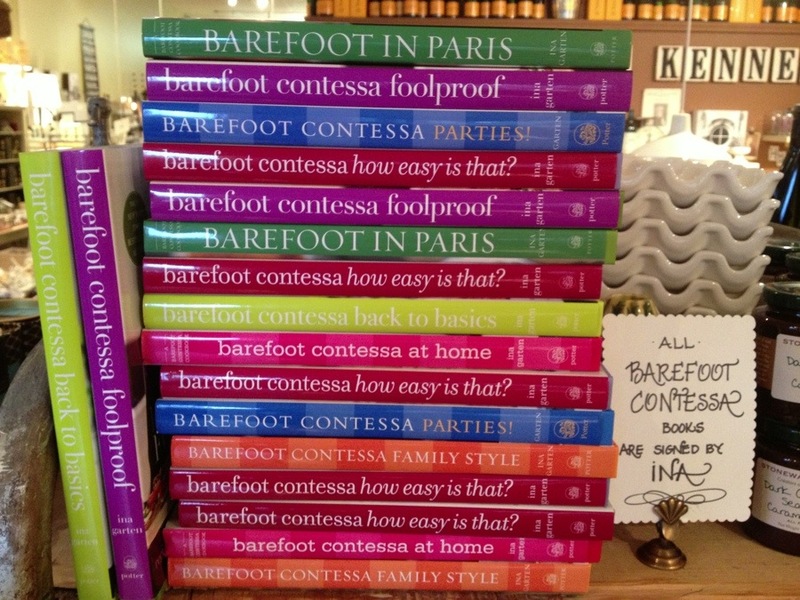 The newest Barefoot Contessa books arrived the other day and our stack has already started to dwindle but more are on the way. I have spoken/written a bunch in the past of my Ina love. She just gets it. Food brings people together and does not have to be fancy. This book concentrates on foods that can be made in advance so you are not stressed when company arrives and are tied to the stove instead of hanging with your friends. Kind of classic Barefoot if you ask me. The people who are being cooked for are more important than being in the kitchen. 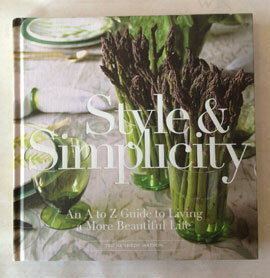 Beautifully shot as always, her books are filled with recipe after recipe of approachable and doable dishes. With a heck of dose of style injected. Ina’s books make great gifts, and this one with the red spine is just perfect for Holiday gifting. Another winner on so many levels. It really is all about cookbooks the next few days. The Prune book arrived yesterday. I am still a bit lightheaded with excitement. I will write about that one later next week. We still have spots open for the Dorie Greenspan signing this Tuesday night from 5 to 7. Call the shop if you would like to join in. A very happy, happy beginning of November to you all! I am happy to report that we just received another round of signed bookplates from Ina. I love selling books that are signed by the author. It just makes them extra special. My fondness for Ina runs deep, as most of you know. To be able to sell her amazing cookbooks signed by her–even better. They make such great gifts. The colorful spines adding a hit of color to any kitchen or bookshelf they grace. She did it again. 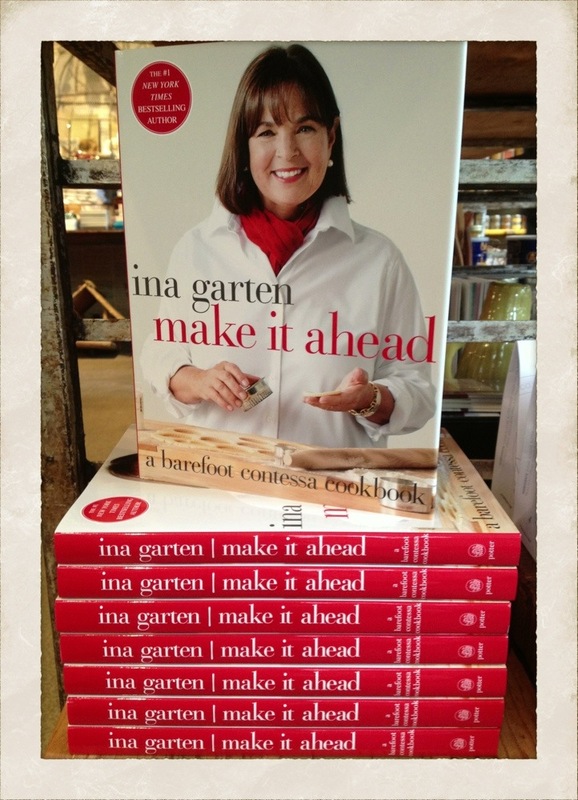 Ina, the barefoot contessa, in her 8th cookbook, has once again captured her easy going yet elegant style of cookery. FOOLPROOF is filled with page after page of stylish yet approachable dishes. Beautifully photographed, as always, her books are easily left out on the coffee table to peruse for inspiration. Ina graciously sends signed bookplates to me, so all of the Watson Kennedy copies have a little something extra special to make this one winning gift this season. Congrats & thank you Ina! As Summer winds down and cooking on the grill becomes less frequent, we are trying to squeeze in every chance we can to barbecue. 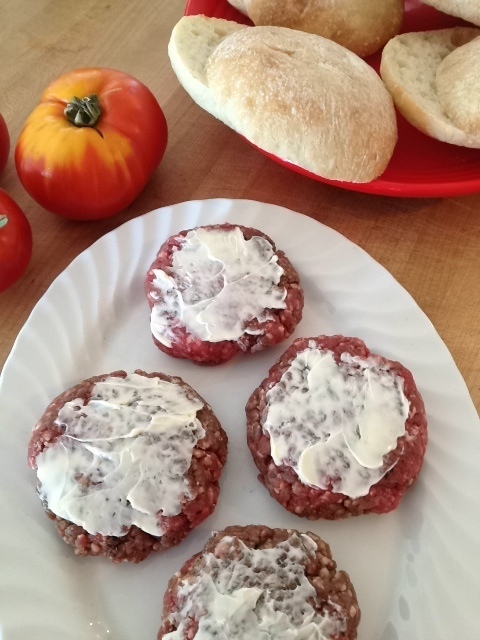 I have seen articles in the food magazines we get about putting butter on burger patties before grilling them. 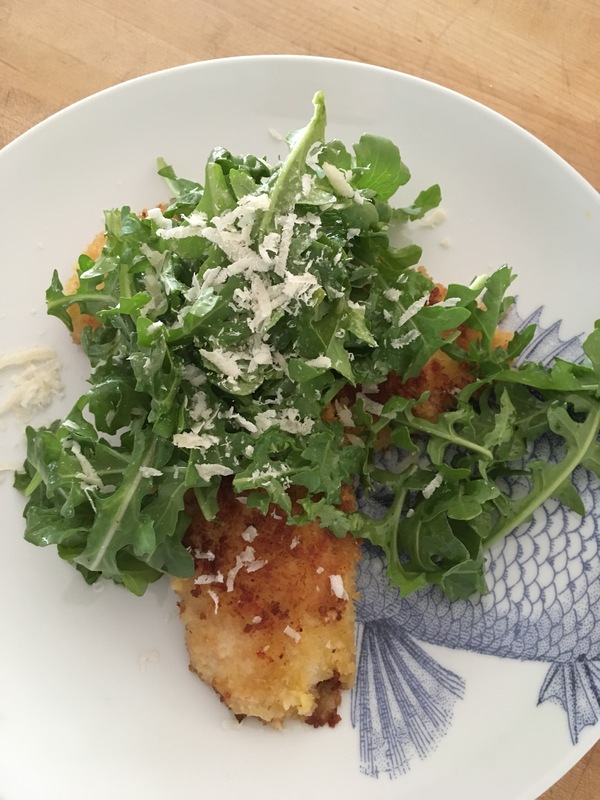 But it was a segment on a Barefoot Contessa show where chef Laurent Tourondel of LT Burger in Sag Harbor showed his method that made me a convert. 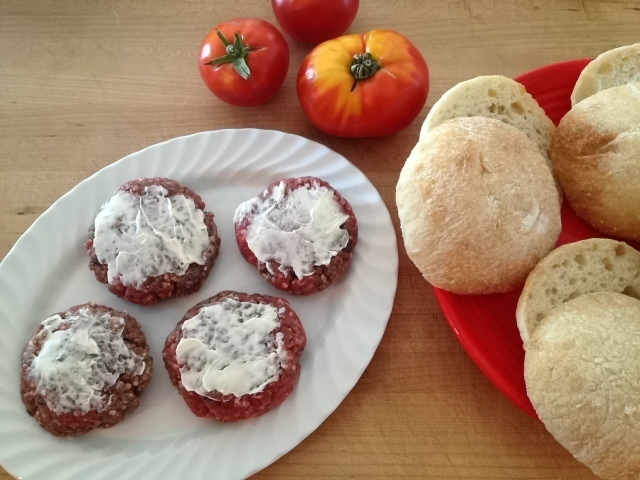 His basic burger is made with meat that has 20% fat, salt, pepper, and softened unsalted butter spread on the top of the burger. That was it. Nothing fancy, just basic stuff. 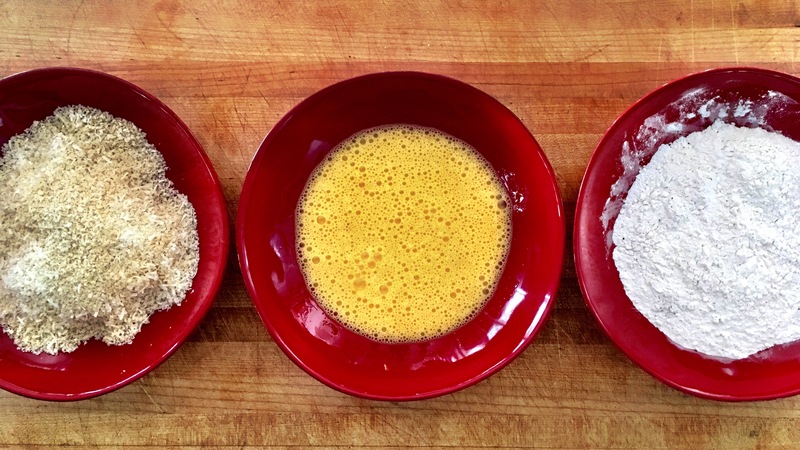 The butter of course adds flavor, but it also caramelizes the burger a bit. We have tried it several times, and it really does create a pretty stellar burger. Add a sliced heirloom tomato and you are good to go. It is a tad indulgent, but hey, if you are going to have a burger, it might as well be as tasty as you can make it. Cheers to cooking on the grill in the sunshine!